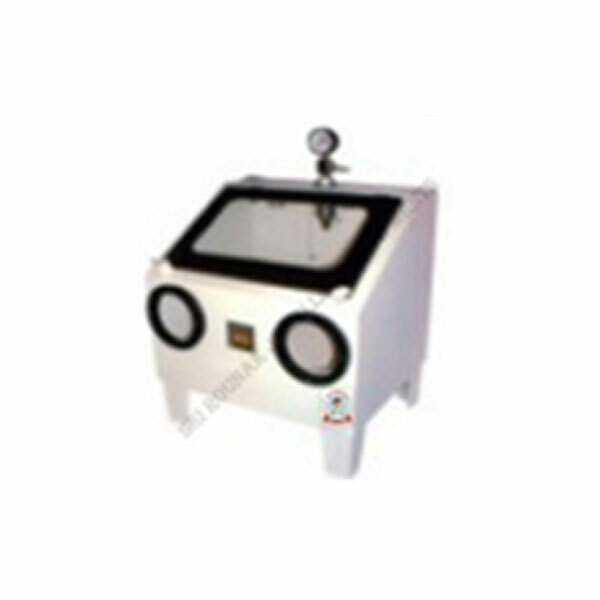 A fully stainless steel sand blasting machine for imparting Matt finish as per desired design on any surface which unmasked for better effects and appearance. Quartz crystals sucked by in built solenoid valve are compared through the nozzle at 80psi. On the unmasked surface by using compressor, provided with a large viewing glass for clear visibility. High quality rubber gloves prevent abrasion of the hands while Matt finishing process.